The dense smog in which we woke up this Tuesday made breathing difficult and realized us that these is a public health emergency situation in North India. People were complaining about the zero visibility on roads and many other health issues like dryness in their throats, coughing, burning sensation in eyes, itchy skin and irritation in nose. The primary sources of smoke are lit garbage, stubble burning, road dust, factories, power plant and vehicles. There’s a major need to take steps to ensure that not only kids are staying indoors but other adults are also careful of the dangerous problems this pollution can lead to. traveling at peak hours when pollution is relatively high. you can to save your lungs from Delhi air now. 3. 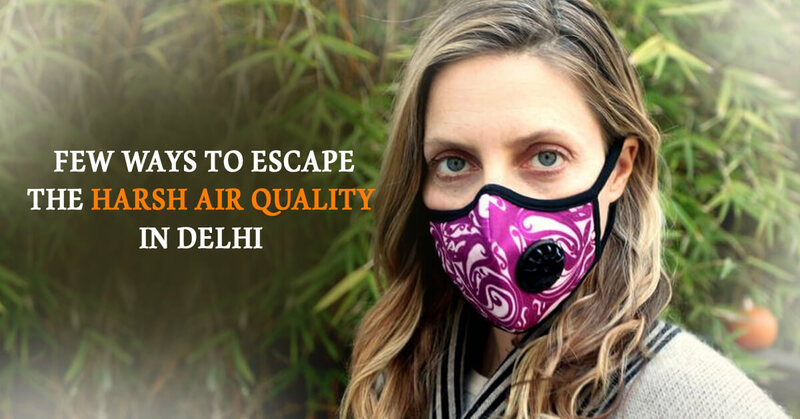 Use a pollution mask – Buy a pollution mask from a nearby medical store. If unavailable, use a clean cloth to cover your mouth and nose. clean and void of pollutants. This is the most effective way to breathe fresh air. 5. Use public transport or closed vehicles– Avoid using open vehicles to travel such as scooties, bikes, and autos. Take the metro or bus if the distances are far off. Avoid using cars and try car pooling as we don’t want the pollution levels to increase further than they already are. already worse situation. Hence, using anything electric over anything fuel best is the way to go. This post is really nice and pretty well maintained, thanks for it and keep updating.